It is our people which makes the Trust so special. Our crew not only look after the young people on their voyages, giving them an experience of a lifetime, but also during summer, share their enthusiasm and passion for the work we do with our tourism guests. Behind the scenes there are our Trustees and a small group of people (who are mostly part time) that keep the organisation ticking over. Most of them are multi-skilled, picking up what needs to be done as and when required. All of us are united in our respect for the ship and how she has the ability to change lives. Tim (aka Sticke) is Bay of Islands born and bred having lived most of his life in Russell Kororareka. Educated at Bay College his career has involved being a Department of Conservation ranger, pest trapper, driving the White Ferry Waimarie, and many other varied activities. He is a keen surfer and often found at beach when the waves are up. He has been with the Trust for four years and has taken on the role of Bosun, looking after the ship’s maintenance needs. Eloise is our newest deckhand, joining the Trust in November 2016. 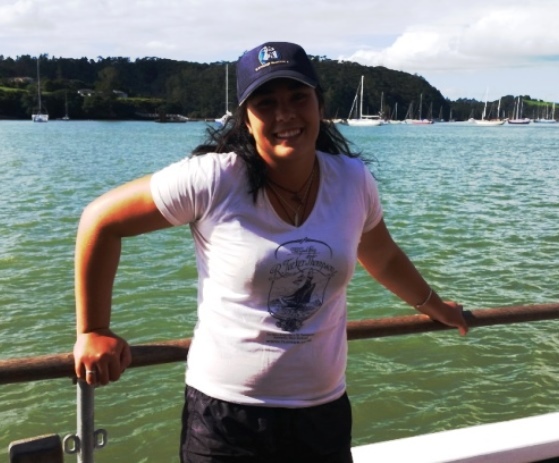 She attended Whangarei Girls High School and first came on board in 2009 on a Youth Development Voyage, and then again in 2010. Her experience during the voyage led her to think about a future career in outdoor education, and she attended Ara Polytechnic in Canterbury where she completed her Batchelor of Sustainability and Outdoor Education. As a former trainee herself, she is looking forward to being part of assisting other young people fulfill their potential on our youth development voyages. Pauline job shares the youth programmes role with Sophie, responsible for liaising with schools and community groups explaining how our youth development voyages help students to make positive changes in their lives. She’s had wide and varied career in a number of roles but is above all an educator. 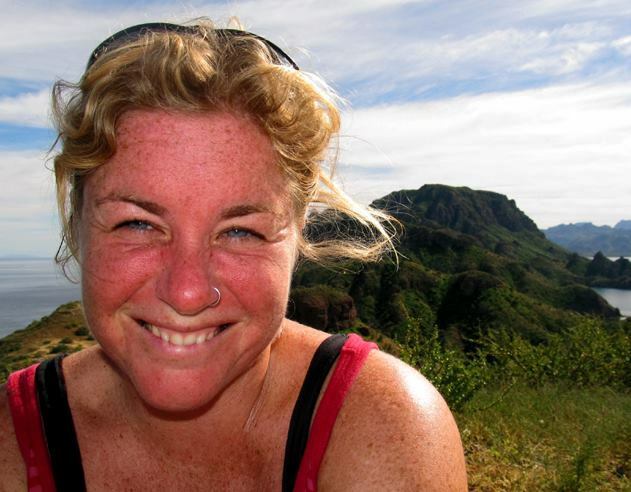 She has taught Outdoor Education,Tourism and been Project Island Song’s Educator on their Floating Classroom. She’s also worked with the Department of Conservation in a number of community liaison roles as well as run her own adventure kayaking business. Pauline is also a very experienced sailor having spent three years sailing from Borneo to the Caribbean via Cape of Good Hope on board junk rigged yacht, Zebedee. Wayne joined the Trust as a trainee in December 2012 and is our longest serving crew member. He completed his Skipper’s training last year and this year is stepping up to the role of Master in Training. Of Ngati Porou descent, he hails from Gisborne. 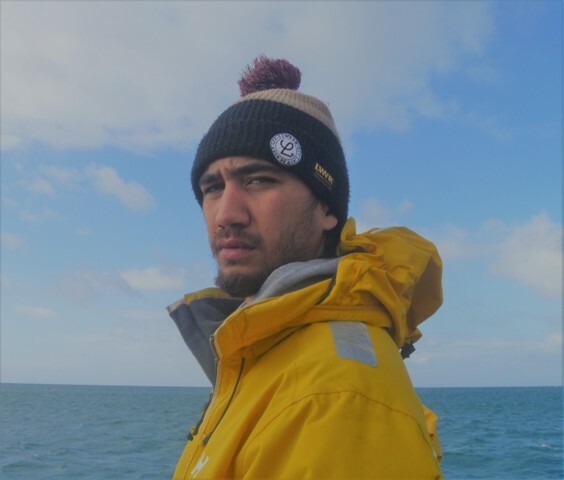 He has previously worked on fishing boats but prefers living in the winterless north as going to sea is much warmer than in the southern ocean. 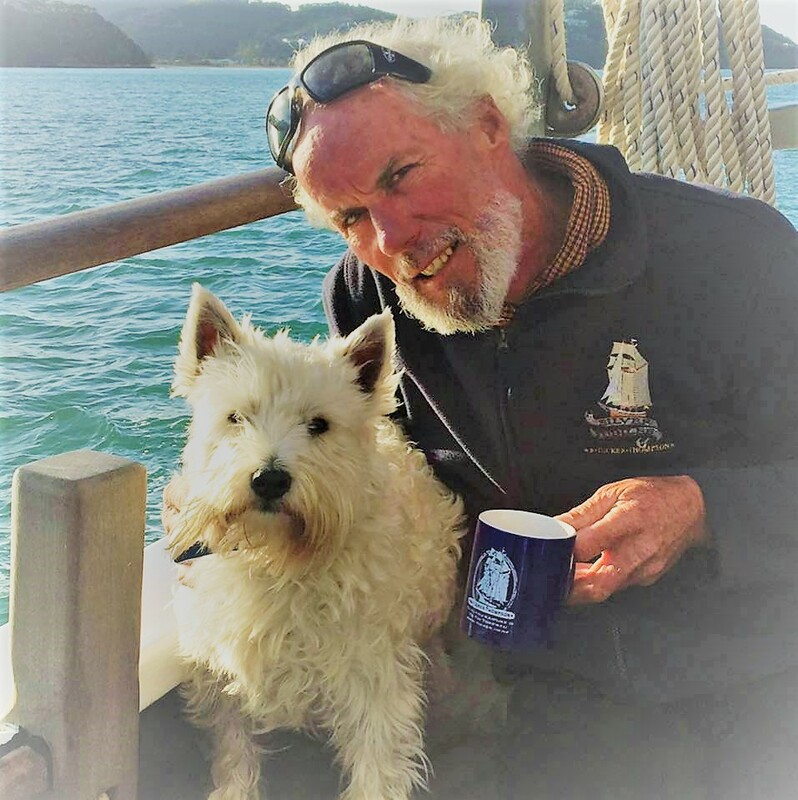 He has earned the respect of many sail trainees who have benefited from his care; he is a mean cook with boil up corned beef and roast pork as his signature dishes. Nate has returned to the Trust following a stint working in Auckland in construction. A former deckhand he joined originally in December 2014 after completing school at Northland College where he was Deputy Head Boy. 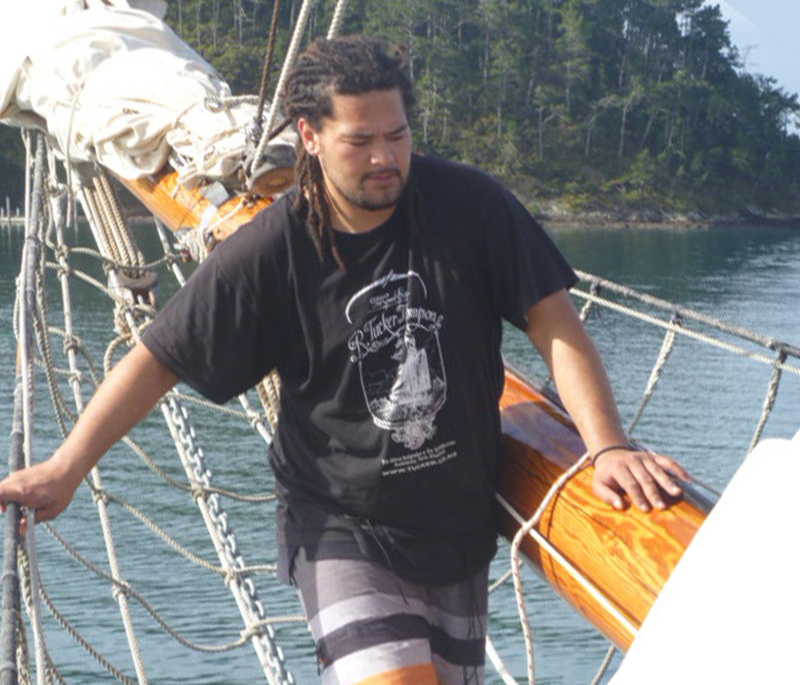 Nate is of Ngaphui descent and has come home to the North resuming his career at sea. Sophie job-shares our youth programmes with Pauline, and looks after the admin side of the youth development voyages. 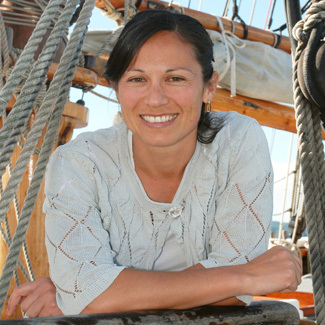 A young mother of two girls, Sophie started her career with the R. Tucker Thompson as Deckhand. She then progressed to Master, where she was responsible for being skipper for tourism sailings as well as the youth development voyages. She therefore knows the ship and how the Trust operates extremely well. With two young daughters to look after, Sophie works mostly from home, juggling a number of roles to ensure that berths are filled with the right type of students on any given voyage. 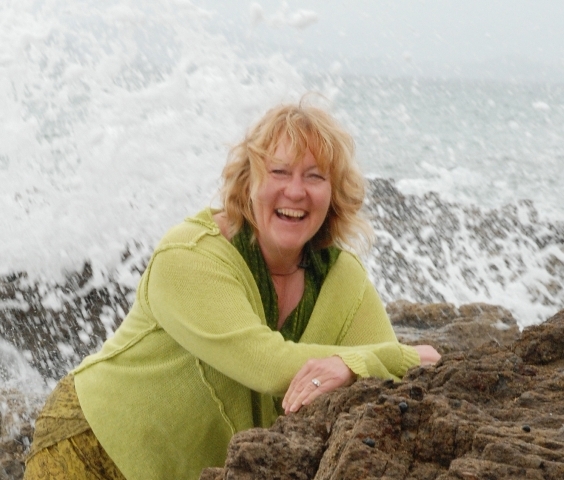 Jane has been involved with the R. Tucker Thompson since 1998, initially as a business mentor to Russell Harris when he owned the ship. When she moved to Russell in 2000, she continued working with him assisting with administrative and business management functions. In 2006, she helped Russell transfer the ship into a Trust, and since then has been the Executive Trustee, a title which really means means keeping the ship afloat financially. 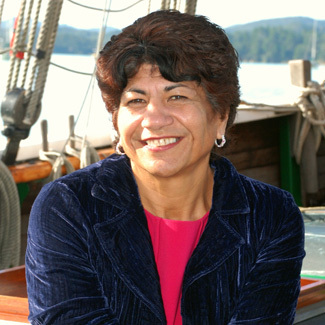 She has sailed on board for a number of offshore voyages, in 2002 and 2005 down the West coast of Canada and USA and in 2006 from Rarotonga to Tonga. A graduate of Northtec’s tourism & Adventure course, Chynna joins us with a background of working on the water. She has worked on dolphin boats in Australia, volunteer work with the Department of Conservation and loves to kayak, tramp and fish generally. She also has had experience in animal husbandry and farming generally and is always seen with a smile on her face. She loves sharing the Bay of Islands with our guests as well as helping our sail trainees experience our wonderful maritime environment. Ethan first joined us on a youth voyage in 2015 and decided that he wanted to volunteer over summer. During the 2015-16 summer season, he spent the majority of his weekends and a large portion of his school holidays helping out. This effort earned him the Tucker Lewis Award for volunteers in 2016. For the 2016-17 tourism season, Ethan has now joined us as our first Cadet, and will be sitting his Skippers Ticket in October. As one of our former trainees he is ideally placed to explain to our passengers how the Trust benefits the young people of the area. Read more about his story in our 2015-16 Annual Report. Kyra hails originally from France but is a Canadian citizen and is now a New Zealand resident. She and her husband sailed here on board their yacht Nyon in 2013 and have put down anchor here in the Bay of Islands ever since. Like most of us, Kyra is capable of turning her hand to most tasks, a “Jill of all Trades” and has now stepped up to a management role as Sales & Operations Manager. She’s a creative individual, artist and writer and she has been with us on a part time basis since 2015 and full time from 1 August 2018. Her hashtag is #lifeonagypsyboat. Our Trustees give the time on a voluntary basis and each bring a set of skills that is of benefit to the Trust. We greatly appreciate their time and support. Of Ngapuhi and Te Arawa descent, Kelly is focused on strengthening whanau and community. Responsible for the Early Learning Ministry of Education Project she established Te Kohekohe Drop in Centre for families with babies and young children. She has previously managed Foundation for Youth Development Programmes, Kiwi Can, Stars and is currently a mentor for the HYPE Youth Advisory Group in Kaikohe. Kelly has a legal background, and is also working for claimant groups to the Waitangi Tribunal Te Paparahi o Te Raki District Inquiry. Dedicated mother of two, she is Chair of Kaikohe West School Board of Trustees, and a Les Mills aerobics instructor. Farmer, crop sprayer, ship and aircraft builder. With Tod Thompson, original builder, former owner and master of the R. Tucker Thompson before transferring the ship into the Trust. Holds Coastal Master’s certification, having sailed the R. Tucker Thompson around the world and in circumnavigation of the Pacific. Sailed to Mururoa with peace flotilla in 1995. Bronwyn is of Te Rarawa, Ngapuhi and Te Roroa descent. She is the Principal Advisor, Strategy and Policy with Te Runanga o Te Rarawa, primarily responsible for Treaty Settlement claims, environmental matters, Iwi and Hapu planning. Community positions include Director with CBEC, Deputy Chair and Reconnecting Northland Steering group. An avid gardener and keen sailor Bronwyn is also a proud nana to three grandchildren. Yachtsman, civil consulting engineer, former company director. Extensive sail training experience both on the water and as a Trustee Spirit of Adventure 1975-2006. 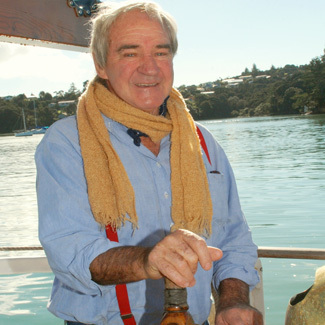 Resident of Devonport, former President of the Devonport Yacht Club, former member of the Auckland Museum Trust Board & the Devonport Community Board. Experienced company director/trustee. Chair of Northland Youth Development Trust and former Deputy Chair of Top Energy. Former Executive Director Fullers Bay of Islands, member NZ Tourism Board, Chair of Enterprise Northland and Destination Northland. Kerikeri resident. Kim has more than 70,000 miles of ocean watch keeping experience on sailing ships including Bounty, Soren Larsen and Rainbow Warrior. 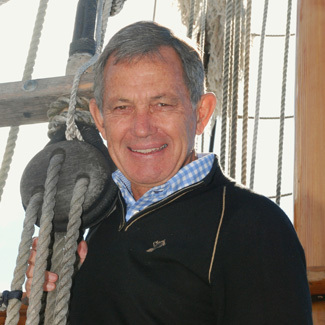 Involved with the R Tucker Thompson since 1985, he sailed aboard for the circumnavigation. In 1987-1988 and skippered the ship to the Pacific Islands in 1993. 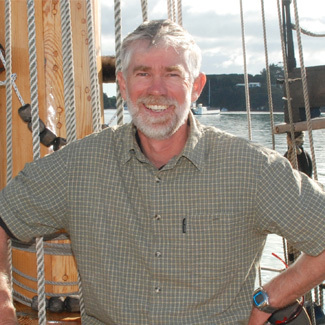 He now operates his own sailing tourism business based in the Bay of Islands. Resident in Opua.